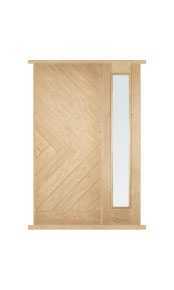 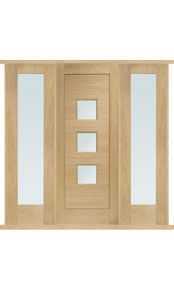 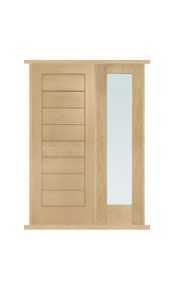 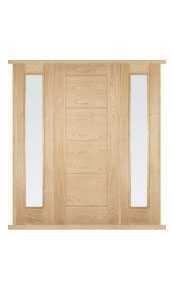 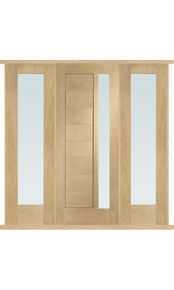 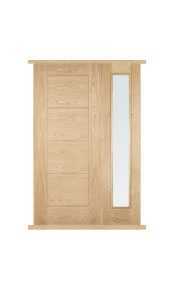 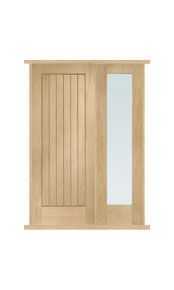 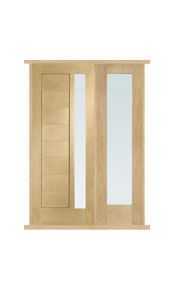 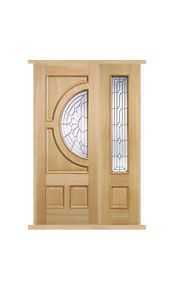 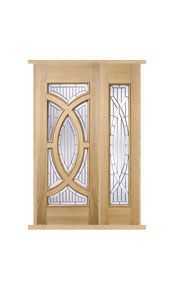 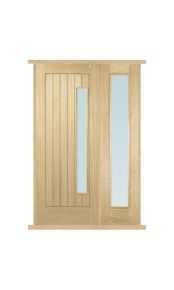 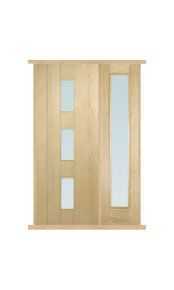 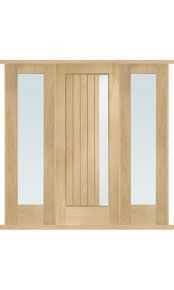 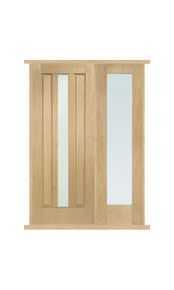 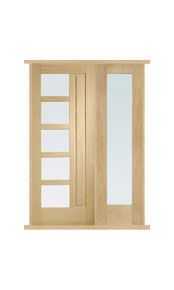 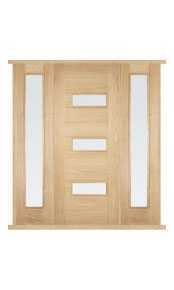 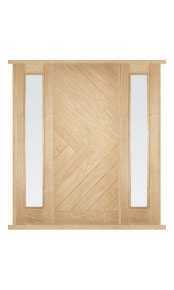 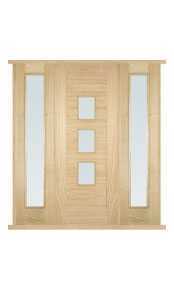 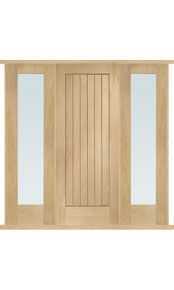 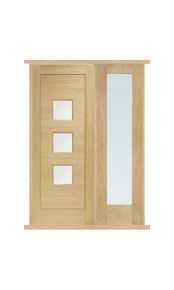 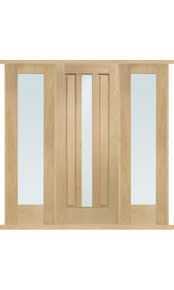 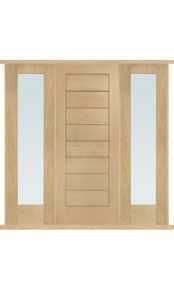 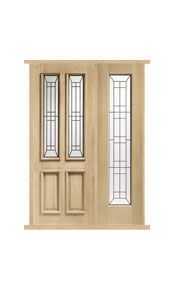 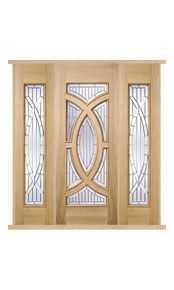 Oak front door sets with sidelights sold as complete packages. 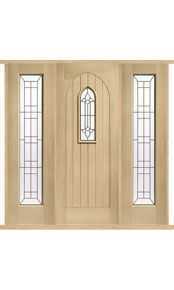 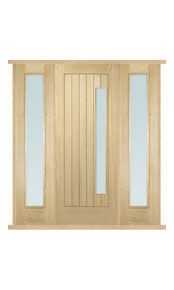 The package includes a single external oak door with one or two side panels, sidelight frame kit (complete with weather gasket/seal) and oak weather bar. 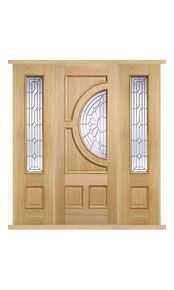 To further help you choose the correct combination for your aperture we have listed within the technical description on the product page the overall external frame size that is calculated from totalling the size of the front door, the side panels and the frame including the appropriate gaps. 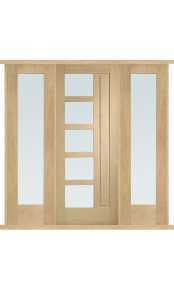 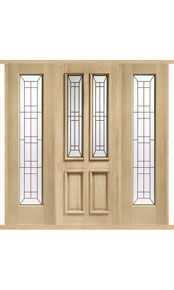 Please note that there is a certain amount of tolerance from the sizes given as the door as well as the sidelights can be trimmed where required. 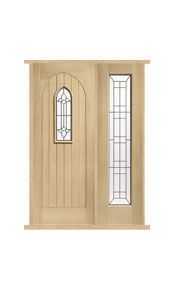 For full details please read the technical description on the individual product pages. 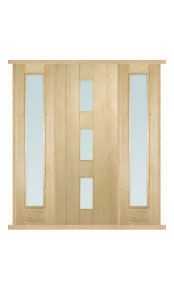 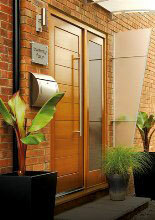 As a timber door specialist if your aperture size is outside of the cutting limits or you require a larger doorset than the standard sizes available we are able to manufacture fully bespoke Hardwood species including solid European Oak door sets complete with fully glazed sidelights and pre-assembled frames. 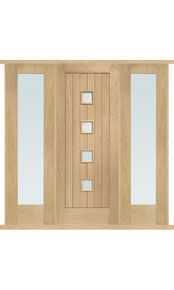 For further information or if would like to discuss your requirements with a member of our experienced sales team please call us on 020 3150 3103.